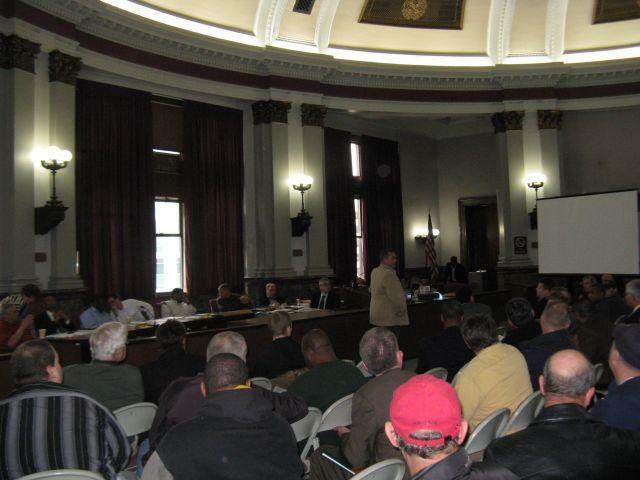 Union president Chris Molitor (in tan jacket) updates the Public Safety committee and others on March 8, 2012 on the progress of negotiations over changes to firefighter pensions. 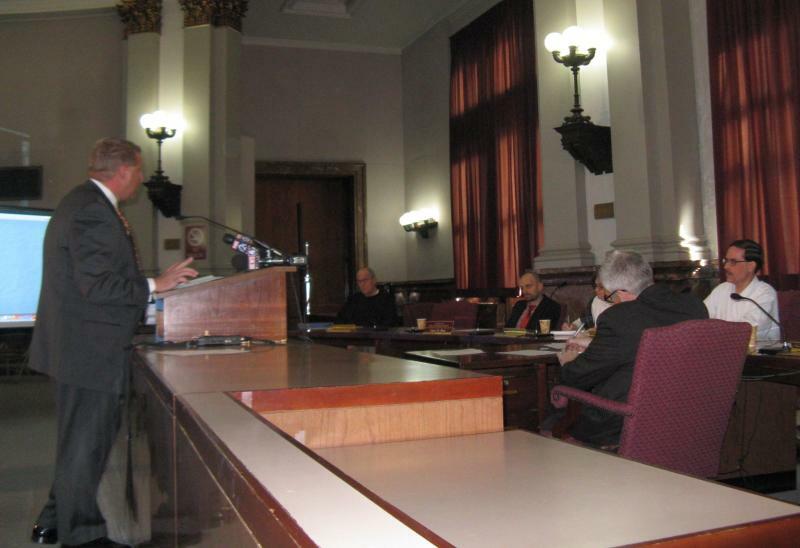 Representatives from Mayor Francis Slay's office, Board of Aldermen President Lewis Reed's office, the Public Safety committee, the firefighter's union and the black advocacy group F.I.R.E met for five hours on Wednesday, and have another meeting scheduled for Monday. They gave a progress report on Thursday to members of the Public Safety committee, which is hearing the pension reforms. Slay and Reed have presented competing plans to get the rising costs of pensions under control, though only Slay's are in bill form. But a large sticking point remains. 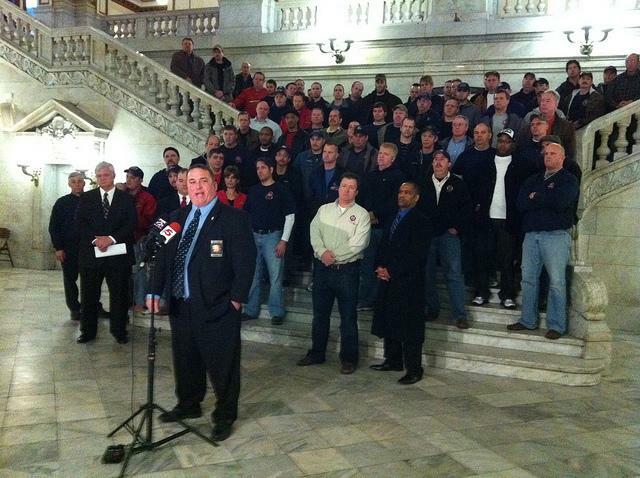 Firefighters and their allies are opposed to removing the current requirement that any changes to firefighter pensions go through Jefferson City first. The mayor calls that non-negotiable - firefighters say they'll sue to keep it. 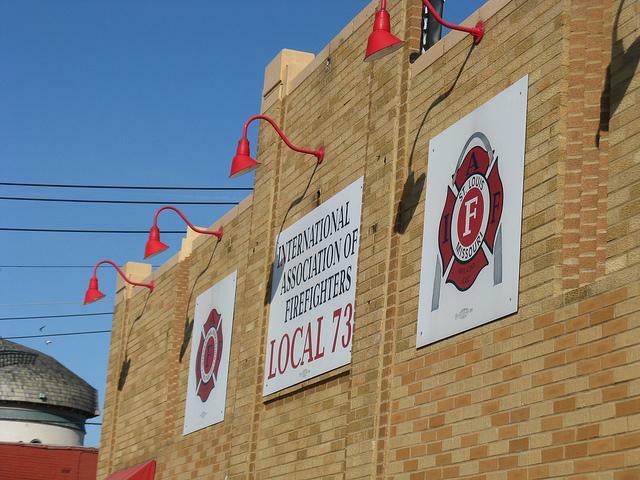 "The mayor, and a majority of the members of the Board of Aldermen feel strongly about returning governance of the benefits of the St. Louis Fire Department's pension system to the city," said Sam Dotson, Slay's operations chief. "I also believe that it will be difficult to negotiate the best deal possible for the taxpayers without movement" on local control. "It we wait for Jefferson City to take action, it's a stalling tactic." Firefighters and their allies objected to that description. "We're working to get this thing done in the correct way," said Reed, the board president. Changes that he negotiated with firefighters - but not with Slay - will be considered in Jefferson City on March 19. That date is after aldermen are scheduled to go on spring break, but members could be called back for meetings. "We have a lot of people behind it in the [state] House and Senate." Aldermen Antonio French, who is representing the Public Safety committee in negotiations, urged the parties to keep the issues separate. 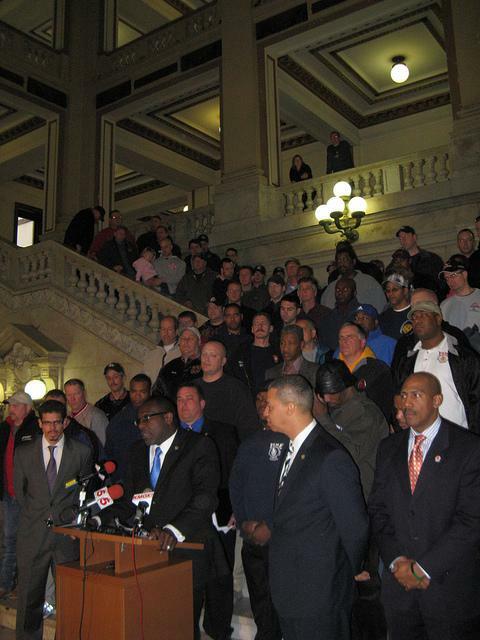 "I think for most aldermen, the issue with the fireman's pension has always been about money," he said. "I think there's a new thing that's come up in the last four or five weeks, and that's local control. One is an immediate concern, and the other deals with a separate issue." Greg Carter, the chair of the Public Safety committee, declined a request to vote on the bill that would eliminate the Jefferson City provision. Firefighters say they’re happy to be back at the negotiating table, and saw some reason to be optimistic. "We're told that Monday we will receive a proposal from the city to include some contractual guarantees with some impasse resolutions," said Chris Molitor, the union president. "It's hard for us to say whether we would support that or not, because we haven't seen it yet, but it is movement in the right direction and it does give us hope that we will be able to reach an agreement."